Having travelled to all of Vietnam’s 63 provinces, I’ve put together this personal guide to where in Vietnam I would most want to be at different times of the year. I love weather, and it’s a fundamental consideration for me when planning when and where to go. Many people assume that Vietnam is bathed in tropical sunshine year-round, country-wide. 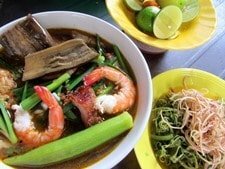 But Vietnam’s climate is complex, variable, and very local: tropical monsoons, extended dry seasons, chilly winters, and the crachin (the name French colonials gave the grey drizzle hanging over the Red River Delta during Lunar New Year) are but a few of the weather conditions travellers can expect. As a long, narrow country – with a spine of mountains to the west, a curving coastline to the east, and flat river deltas in the north and south – Vietnam’s weather is anything but predictable. The following guide will help you decide when and where to go. Being English, I’ve always longed for sunshine and warmth, but now, having lived in Vietnam for a decade, I also appreciate the pockets of cool, misty, autumnal weather that certain areas experience at certain times of year. Monsoon rains also have a romantic appeal for me, as do the magnificent skies that the rainy season brings. Below I’ve split the year into quarters (blocks of three months) and written up a summary of where my favourite places to be are for each quarter. 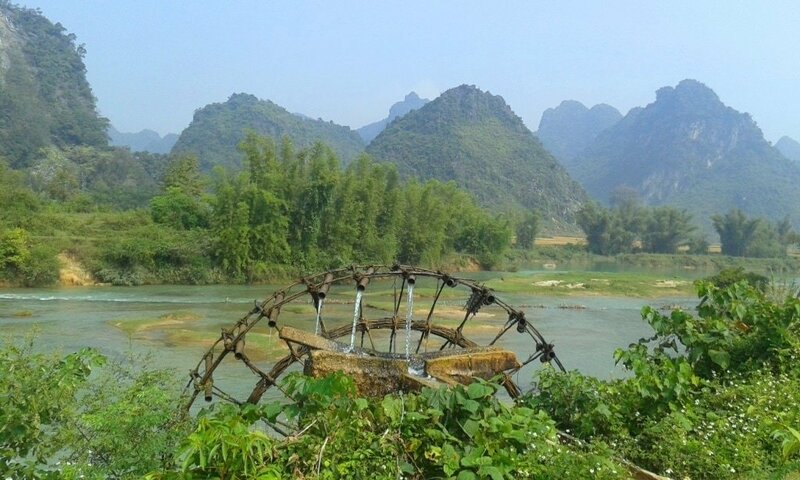 I’ve included links to relevant Vietnam Coracle guides to the places I mention. The first three months of the year is the height of the southern dry season. South of Nha Trang, Vietnam’s coastline sweeps westward, sheltering the southern provinces from the northeast monsoon, which brings cold, grey weather to northern and central regions. 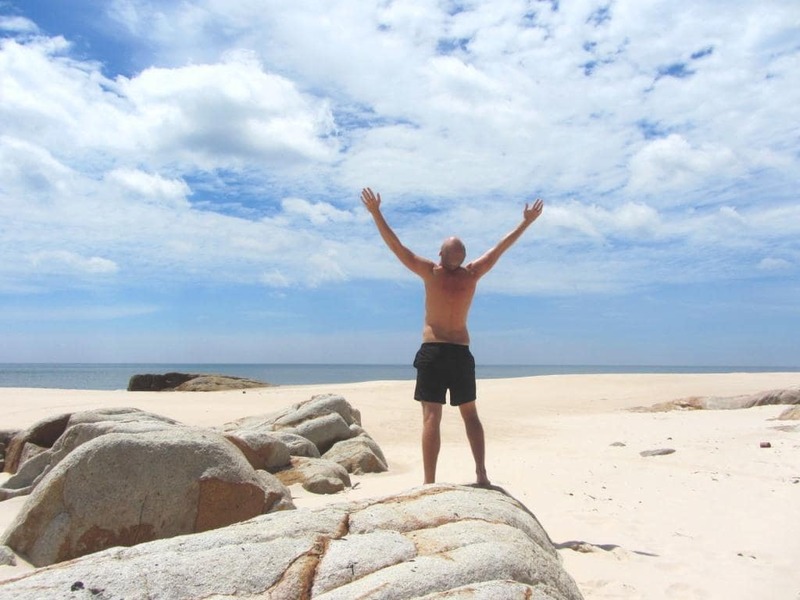 From Nha Trang all the way down to Phu Quoc Island, at Vietnam’s southwestern-most tip, the conditions are glorious: blue skies, warm sunshine, relatively low humidity, sharp light, and cool mornings and evenings. It’s perfect beach weather. The water is calm, balmy, and blue on Phu Quoc Island at this time of year: it’s by far the best season to explore the many beaches of this tropical retreat in the Gulf of Thailand. Meanwhile, on the Con Dao Islands – far out in the East Sea – winds can blow hard, but this only serves to cleanse the islands; making the beaches, forests, and cliffs shine in the briny air. Follow the sand from Vung Tau all the way up to Cam Ranh Bay on the fabulous Ocean Road. Cool nights and hardly any rainfall make this ideal camping weather: take advantage of Vietnam’s growing phượt culture (independent travel on the cheap) and pitch a tent at one of the campsites on the southern sands. There’s something inherently life-affirming about endless blue skies and the warmth of the sun on your skin: I take a road trip along the southern coast every year, during the Tet Lunar New Year holiday (January/February), and each time I do, it fills me with joy. It’s not only the coast that basks in southern sunshine at this time of year: the Central Highlands are at their best during the winter months. Dalat, Bao Loc, Lak Lake, Cat Tien National Park, and the southern reaches of the Truong Son Mountain Range all enjoy the same dry, bright weather as the coast. Daytime temperatures in Dalat are around 25°C but the nights are cold. This presents a satisfying contrast: swim in the sea at Mui Ne in the morning and be wrapped up warm by the fireside in Dalat by evening. The highland pine forests are dry and fragrant – again offering a good chance for camping – and, with the coffee harvest over, the scent of coffee blossom fills the air. A favourite trip of mine at this time of year is the Southeast Loop, which takes in both mountains and coast. Since I live in Saigon, I enjoy the city at all times of year, but the cool nights during the dry season – when you can sit outside eating dinner without perspiring – are particularly nice. As the southern dry season comes to an end, temperatures in the south being to soar: humidity rises, the air thickens, and conditions become stifling. It’s time to head north to the mountains and valleys, where spring is taking hold: the sun regains its warmth after the cold winter, and the grey mists begin to lift from the peaks and rivers. Blossoms, wildflowers, and crops begin to bloom, and a fresh new light illuminates the grand northern landscapes. In the far north of Vietnam, the hauntingly beautiful province of Ha Giang is slowly waking from the frosts of a hard winter. A rocky landscape of limestone pinnacles that rise and fall like petrified waves on a ruffled sea, Ha Giang’s mythical landscape is never in sharper focus than in early spring. There’s no better time to ride the legendary Extreme North Loop. Meanwhile, in the northwest, the giant peaks of the Hoang Lien Son Mountains prick the spring sky. Although temperatures may still be a little chilly at 1,500m, it’s still a good time to visit Sapa and drink in the mountain views. But to get a real flavour of how grand the scenery is in this region, and how the many ethnic minority peoples go about their lives, head west to Sin Ho or east to Muong Khuong. The landscape here is on a scale not seen anywhere else in Indochina, so it pays to see it in clear weather: visiting in early spring increases the chances of this. Southwest of Hanoi, the warm clear weather makes a wonderland of Pu Luong Nature Reserve, Cuc Phuong National Park, Mai Chau, Thanh Hoa and Ninh Binh provinces. 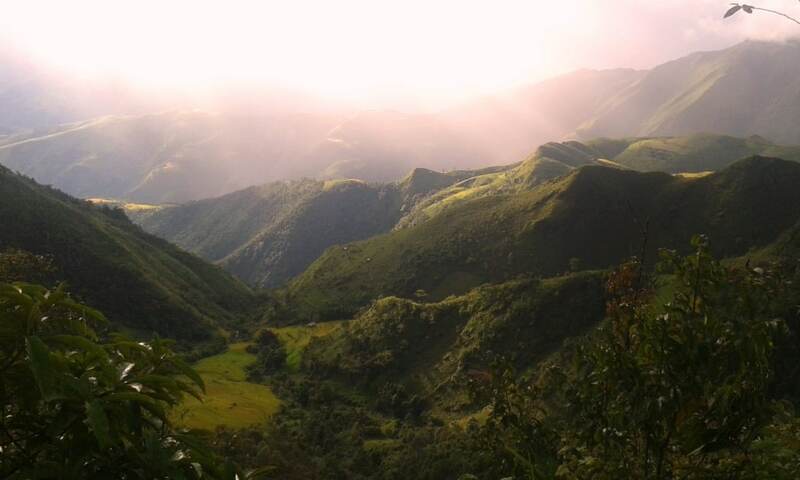 I call this area ‘The Limestone Valleys‘ because meandering rivers cut through steep, forested limestone hills. Rice terraces decorate the slopes, bamboo forests whisper in the breezes, and the waterways are clean and clear, not yet muddied by the runoff from the summer rains. This is Vietnam at its prettiest. A homestay in a wooden house on stilts in Pu Luong Nature Reserve is the best way to experience it. The summer months bring hot, rainy, steamy and oppressive weather to the whole country. While the south experiences its rainy season, the north is unbearably hot and sticky, with frequent rains. Central regions are subject to similar conditions, but the long coastline and easily accessible mountains make it much more bearable in this part of the country. A plethora of cultural sites also provide a welcome distraction from the intensity of the weather. 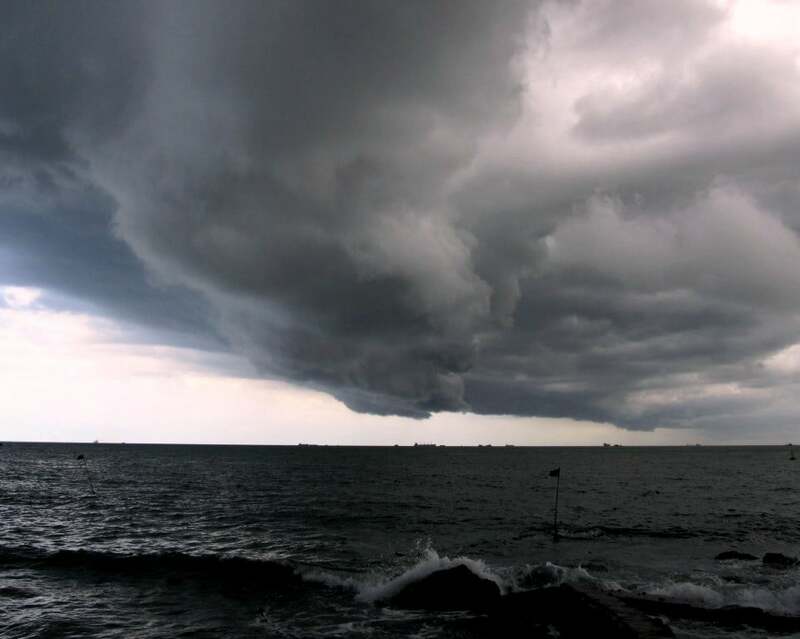 On the other hand, the ‘scale’ of weather at this time of year is an attraction in itself: massive heat, cathedralic thunderclouds and violent rains are exciting aspects of visiting an exotic tropical country. 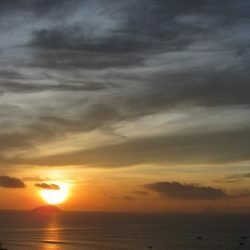 Being on a beach at dawn with the sand already too hot to step on; seeing an angry thunderhead rear up over an ancient Cham temple; sheltering under a tree while watching the rains sweep over the jungle canopy on the Ho Chi Minh Road – these are unmissable summer monsoon experiences for me. The three main central cities, Hue, Danang and Hoi An, are all fantastic places to spend time during the summer. Excellent food, local beaches, historical sites and friendly people make them easy to love. Cycling around the royal tombs outside Hue, wandering the old streets of Hoi An, eating seafood and enjoying the municipal beach in Danang, could keep me occupied for weeks. The Hai Van Pass links these cities, and most people make the road trip between Danang and Hue via this scenic coast road. 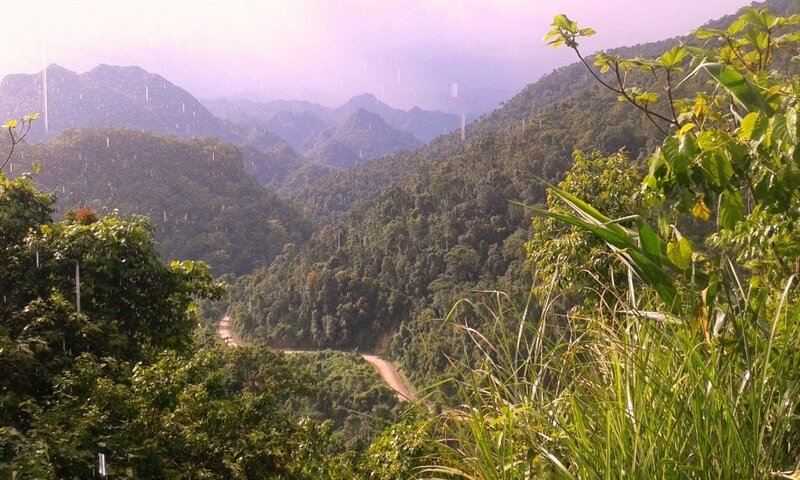 However, I choose the inland route instead: a rarely used section of the Ho Chi Minh Road that meanders across spectacular mountains between Thanh My and A Luoi. Whether bathed in sunshine or shrouded in mist, this road is superb. If that’s not enough, continue north on the Western Ho Chi Minh Road from Khe Sanh to Phong Nha: a staggering ride through some of the most pristine, remote countryside in Vietnam. There’s a good chance the sun will be shining at this time of year, so the rivers will be ribbons of turquoise, irresistible for swimming. At the end of this stretch of road are the famous caves systems of Phong Nha, Son Doong, Hang En and more. 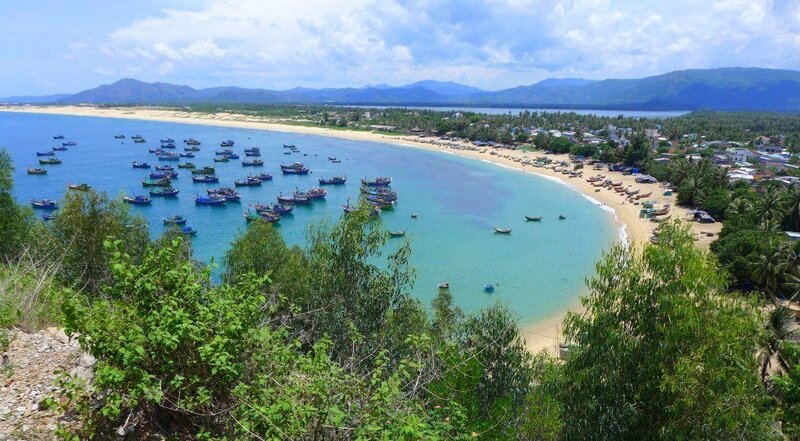 South of Hoi An, the beaches of Binh Dinh and Phu Yen provinces are some of the most attractive and unspoiled in the country. The honeycombed coastline hides numerous sandy coves, secret bays and tiny islets, such as Vung Ro Bay. At the height of summer the empty hot sands, blue waters and clear skies have a benign and somehow immortal beauty. Drop in to the laid back beach town of Quy Nhon for the best seafood in Vietnam. The ’embers’ are best spent in the northern and southern extremes of Vietnam. Towards the end of the year the weather starts to turn grey and drizzly on the central coast and highlands, but up in the Northeast it’s beautiful and balmy. This little pocket of the country, mainly Cao Bang, Lang Son, and Bac Kan provinces, is under-appreciated by many domestic and foreign travellers. But the richly cultivated limestone valleys – where jade-coloured rivers amble past sleepy stone villages – are as scenic as any storybook version of rural Vietnam. With the harvest over, the rice fields turn beige but the forests are still lush and green. Criss-crossed by country back-roads, it’s easy to get off the beaten path in this region. October in Hanoi is lovely. Gone is the searing heat and stifling humidity of summer: October is warm, bright and mellow. 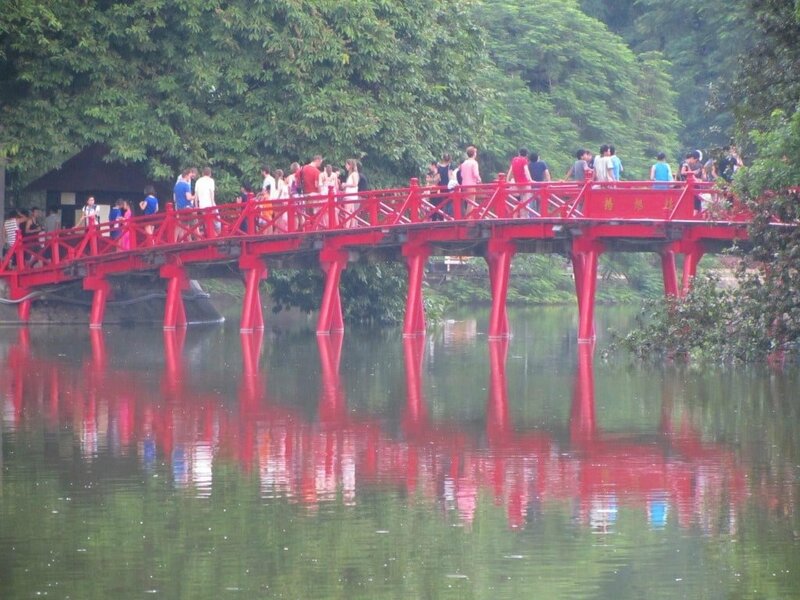 Hanoi is a great city for walking – only then do you have time to appreciate the multiple layers of this thousand year-old capital – but the summer is too hot to be on foot, and the winter too cold and wet: autumn is ideal walking weather. While autumn is taking hold in the north, the southern rainy season is gradually transitioning to drier conditions. This is a good time to be in the Mekong Delta. A water-world throughout the year, by the end of the rainy season the Delta is full to the brim. 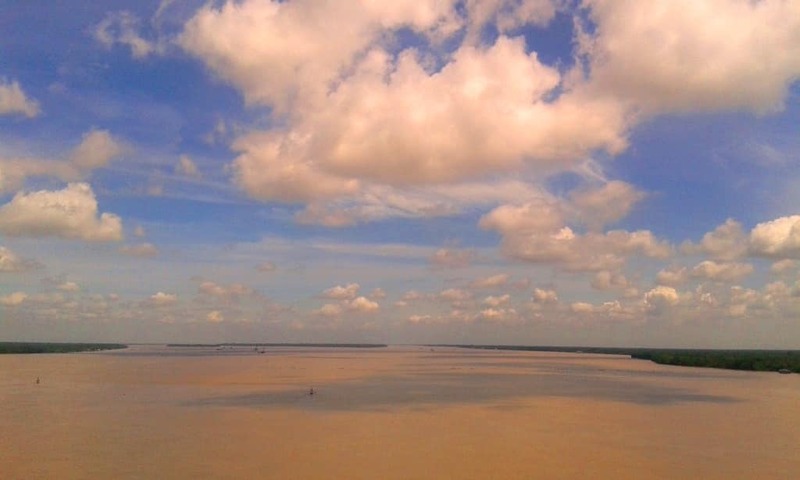 Rivers and canals are at their highest level, rice fields flooded, and fruit orchards bursting with colour. Kien Giang, in the southwest corner, is my favourite Mekong province. Unlike the rest of the Delta, there’s some high ground here, especially around the laid-back town of Ha Tien, close to the Cambodian border. Ha Tien has plenty of Mekong charm – crumbling French colonial-era shophouses, shady backstreets, a busy waterway, excellent street food, a bustling fish market, and a waterfront promenade. Boats leave regularly from the pier to Phu Quoc Island which, along with other islands in the Gulf of Thailand, can be seen out on the horizon. Get here in November/December and you can jump on a boat to Phu Quoc and start the year according to this guide all over again. This entry was posted in ALL, DESTINATIONS, Resources, Resources, The Centre, The North, The Northeast, The Northwest, The South and tagged dry, guide, rainy, season, travel, Vietnam, weather, when to go. Bookmark the permalink. I am arriving into Hanoi at the very start of May, I plan to motorcycle to Saigon. It seems most of the websites say the best time to travel to Vietnam is between October and April. Will the weather actually be that much of an obstacle? It’s my only real concern about biking across the country. May is one of the best months to ride the length of the country – it should be hot and sunny in most regions, but with tropical downpours every now and then. your web site is wonderful!! Is October a good time to go to these two places? Where would you recommend us to go at this time of the year? I read about Mekong Delta and seems very interesting, how far away is it from Hanoi? we are from the US, do we need visa? Yes, from Hanoi to Hoi An you can fly (to Dannag) then take a taxi from the airport to the old town (or some hotels offer airport pickup). The weather in Hanoi and Hoi An at that time of year is pretty good, but sometimes Hoi An can be wet in October. The Mekong Delta is as far away from Hanoi as you can get – it’s at the other end of the country, about 2,000km away. But you can make day trips there from Ho Chi Minh City. For visa information I suggest contacting your nearest Vietnamese embassy to check the requirements. First of all, i would like to thank you for this website and for all your work and good advices. I took your “uncle ho’s road” that i have a lil bit remixed and it was amazing. And i wanted to do a big northern loop, by mixing the limestone loop, the 2 sapa loop, the ha giang loop and the northeast loop. But i became “weather-dependant” and “landscape-with-beautiful-colors-dependant”.. so it is not the best time right now, everything is grey and brown. So i gave up and i continue my way to Laos, i’ll come back but i dont know when. What would you recommand for this kind of loop ? April/May or October/November ? Because northern/northern west seems to be good during spring whereas northern east seems to be better in October/November. Yes, the weather can be pretty grim up in the north during this time of year. But either April/May or September/October are the best times to ride in that region. The colours and landscape look fantastic at those times and the weather is generally good, although there is still some rain, and because it’s the mountains there’s always the chance of heavy mist, especially in the Northwest. Please note that I am currently updating the Limestone Loop and Northeast Loops guides. Sorry I did not understand.. September/october or october/november for the north ? Because you wrote october/november/december in the article and now you said september/october ? Personally, I like September and October in the north. I’m planning first trip for later this year in either September, October, or November. Unfortunately I only have about 10 days this time so want to focus on 1-2 parts of the country. Was thinking of combining Saigon with either Con Dao or Nha Trang and possibly one night on the Mekong. It seems like the weather patterns are different for Con Dao & Nha Trang and my travel time overlaps an inbetween period in the seasons you mentioned. Any recommendation on which combination of month/beach area would give me the better chance of good weather? Those months aren’t usually that good for weather in Nha Trang or Con Dao – it’s the rainy season in Nha Trang, and Con Dao can get quite windy. But if I had to choose between those months, I’d go in September, because there’s more chance of good weather conditions in both Nha Trang and Con Dao at that time. Hello Tom I’m in a bit of a crux, I’m here 50 km east of Saigon. And I’ve been reading into your weather recommendations. I was going to take the ocean road but I’m unsure whether it’s the best route at this time. I’m at a point that I could go any route. I have 40 days in total and I’m ready to explore this beautiful country. Could you point me to the best route? Maybe I was already on the right path with the ocean route. Yes, I would stick to the Ocean Road. The weather should be good at this time of year everywhere south of Nha Trang, but the last two years weather patterns seem to be changing. You might also make your way up to Dalat from Cam Ranh. But just take it as it comes and keep an eye on the weather. North of Nha Trang, and especially north of Danang, conditions will probably be colder and rainier. It’s great to hear that other travellers are using my site too. Firstly, great site! full of great info. I’m hoping to go from Saigon to Hanoi, but the big question is when? I don’t mind rain I think it adds to the adventure. So would I be right in thinking that March from the south heading north should provide me with not only a great ride but a mix of weather? Also, do you know a rough price guide to buying a 125cc. Thinking about the buying route rather than renting. Yes, that’s pretty much right: in general the best times of year for a Saigon to Hanoi ride are either spring (March-May) or autumn (late August-October). For buying a 125cc bike I would strongly recommend you do so through one of the recommended companies in the right sidebar and bottom of this (and every) page of my site. These companies are extremely efficient and professionally run: most work on a buy-back basis – so you buy a 125cc bike from them and they guarantee to buy it back at the end of your trip for an established price. Try contacting a few of them and asking for more information. You can mention Vietnam Coracle if you like, they know me. i will arrive at vietnam at the middle of augest for three months, i want to see most of vietnam. i am trying to bulid a route that will work with the weather. can you plise explaine me in genreal where to start and where to go. i am trying to undstend how to travil with the weather. Well, the weather is pretty similar all over Vietnam in Augest. But I would start in the south and head north, because September and October are best in the northern provinces. For ideas about routes, start by taking a look at my 5 Suggested Routes from Saigon to Hanoi. Which month do you recommend to ride from Hanoi to Saigon? I have two options: December and february. December would be better for me, but if difference of joy is big I can ride in february. Well, both of those options the weather will be best in the south: once you get north of Danang you may find it gets colder and grayer, because the north gets a real winter. 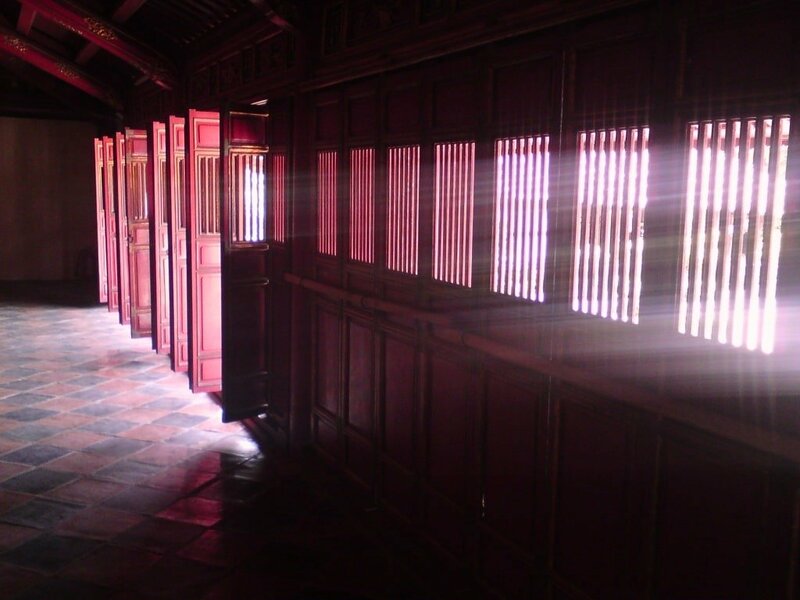 If you ride during February, you will probably overlap with the Tet Lunar New Year celebrations – this is very interesting but it’s not great for travel, because many businesses close and most of the nation goes on holiday so places become busy. So perhaps December would be your best option. Thank for your reply. I want be 100% sure because today I will book flight tickets. Btw I have no experience riding scooter or motorbike. I see Lunar New Year will be at 16th February. I saw also that in central Vietnam the amount of rain in December is 370mm (18 rainy days) and in February it’s a only 90mm (12 rainy days). That’s why I thought February is better. Of course if you think that problems with Lunar New Year is more important than the weather I will go for December. Is it better to start from Hanoi or from Saigon? I would start from Hanoi and go south, because that way you will save the better weather for last. If your dates would fall over the Lunar New Year holiday then I would advise travelling on the earlier date. Congrats to your blog! It is really helpful and you did a great job! We plan to come to Vietnam for a month from mid-decembre to mid-january. We will land in Hanoi and fly back from Saigon. We would like to discover the whole country from north till south on our motorbikes but are still unsure about the weather conditions and the best route. We think about starting in the north (northteast loop) and then cruise towards south through eather the Ho Chi Minh Route or the Classic. Would you recommend the north at this time of the year? Which route would you recommend for travelling from north till south? It will certainly be rather chilly in the north at that time of year. The colder temperatures and grey weather could last all the way down to Hue. South of Danang the weather should get warmer and brighter. Yes, the Northeast Loop or the Ha Giang Extreme North Loop would be good options for the north, before riding south on the Classic route. I would choose the Classic because it will give you some time by the beach in the south where the weather should be better. Hello Tom, your motorcycle guides have inspired me to do a ride south to north. I am going to follow your Easy route and was thinking about starting this Christmas onwards. However I note the weather from Da Nang might be wet. I was wondered if you might comment from riders point of view how rainy it might be end of December first week January. I am experienced rider and can handle some rain but if riding in it all day I always seem to wet which if cold ends up being miserable. Yes, that’s right: during that time of year the weather can be quite grey and drizzly, and surprisingly cold too, anywhere north of Danang. However, it shouldn’t be enough to ruin a motorbike road trip – just bear it in mind while planning your trip. For rain protection on the bike you can either buy a local rain suit (about $10, available in some supermarkets, called bộ áo mưa in Vietnamese) including a waterproof jacket, pants, and a poncho which goes over your handlebars, or buy a ‘real’ rain suit at the GIVI store in Ho Chi Minh City (about $50). As well as this, you’ll need to make sure your luggage is waterproof – a large plastic ‘bin bag’ is good for your backpack or daypack. So I’ve been traveling the classic route by motorcycle for a few weeks and taking the liberty to find even more off the path tracks. Needless to say it has been quite an amazing experience, even getting stuck in massive monsoons on the highest peaks. I’m deciding now on what to do with my final two weeks, and was hoping to hit the extreme northern loop and incorporate more of the far North into the trek, maybe going counter clockwise from here in Ninh Binh. HOWEVER with all the recent rain, I’m wondering if you have any insight into the current road conditions for some of the areas. The weather predictions are obviously quite fickle. Thanks in advance and I hope you’re able to get back to me. Also thanks for having such an encompassing insightful site. Good to hear you’re enjoying your road trip so far. Yes, it’s a good idea to incorporate a couple of northern loops together. Road conditions are always unpredictable in those areas so it’s very difficult to say. In particular, the northeast is famously bad for road conditions. The Ha Gaing Loop should be OK, but some readers have reported road works. 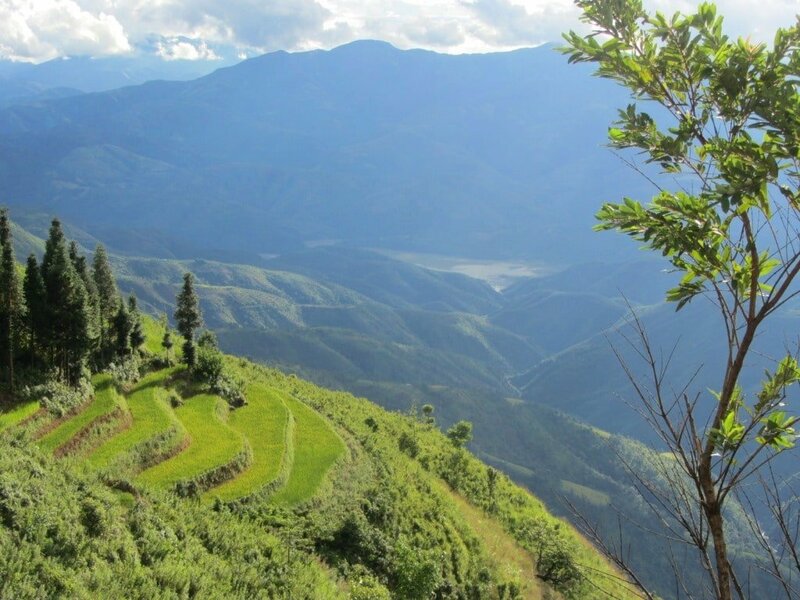 Mu Cang Chai was recently washed away by flooding – I don’t know how the road would be now. So I think the best thing to do is take it as it comes, pack some extra time into your itinerary to allow for some slow progress, and always try to ask a local before taking a road you’re not too sure about. If you come across any bad (or good) roads you think I and other readers should know about then please let me know. I’m another lucky person to bump onto your website. Thank you for your great travel advice. I’m starting to think that a 2-3 week trip to Vietnam is not long enough but that can’t be helped, maybe we will have to go again another time. Actually my husband just had a golfing trip to Vietnam with three mates about 4 weeks ago (only played 2 games in 10 days!) and they had the best time and now we are both booking a trip in October this year, he absolutely loved Vietnam. I think my husband wants to see the north this time and I’m now researching this. My question is about motorbikes and this might seem like a silly question but I have no one else to ask this. Do you need to be experienced to ride? It seems to me that a lot of people that travel to Asian countries always talk about renting motor bikes, including my 22 year old daughter who hired a motor bike in the Phillipines recently and she had no experience at all. I may be generalising here but it seems to me people may not be experienced riders at all but it’s just the ‘thing to do’ in those countries. I am wondering what your thoughts are on this. The only biking I do is mountain bike riding in Australia – I wear a helmet of course but that’s it! I would love to know what you think, both my husband and myself are not familiar with bikes or engines and with respect he is so NOT handy at all and either am I. In my research to date and looking throughout your website it makes me want to jump on a bike and stay in guesthouses and explore the back country and mountainous regions up north. I want to be open to all options of travel and I’m interested in what you have to say about inexperienced riders in Vietnam. If you rent bikes away from the big cities (namely Saigon and Hanoi) most travellers should feel fairly comfortable riding a motorbike (most are scooters, really) after a day, even without previous experience, providing you are already familiar with the balance, which is the same as a bicycle. The traffic in the big cities is very chaotic and the biggest challenge when riding motorbikes in Vietnam. And the general lack of road ‘etiquette’ is one of the biggest risks facing travellers riding in Vietnam. However, in general people ride quite slowly: badly, but slowly. Bottom line is that if you are careful and cautious you should be fine. However, you must always remember that it is a potentially dangerous thing to do. Once you rent a bike for one day you will know very quickly whether you feel comfortable enough to go on a longer road trip or not. Your website is awesome by the way! Most helpful resource yet. In general the best times of year to ride the length of the country are spring (March to May) and autumn (September/October). Whether you go south-north or north-south depends on your preferences: as a general rule the south is more about the coast and the beaches, and the north is more about the highlands and the mountains. So if you prefer to leave one of those until last then that will determine which direction you travel. As there are local guesthouses almost everywhere there’s not really much need to bring a tent with you. If you want to camp there are opportunities to rent a tent, on the Ocean Road for example. Thank you for an amazing site! I’m planning a six weeks solo trip (two weeks in June and 4 in july) and I’m planning to go from north to south. Would you recommend doing it this way or would the opposite be better? It seems like everyone has a different opinion on the weather in these months? I’ve traveled tin Thailand and Malaysia during rainy season and I didn’t think it was a problem at all. Is the rainy reason in Vietnam comparable? During June and July the weather is pretty similar all over Vietnam – hot and humid with fairly regular tropical downpours – so in my opinion there’s not much difference if you choose to go north to south of vice-versa. 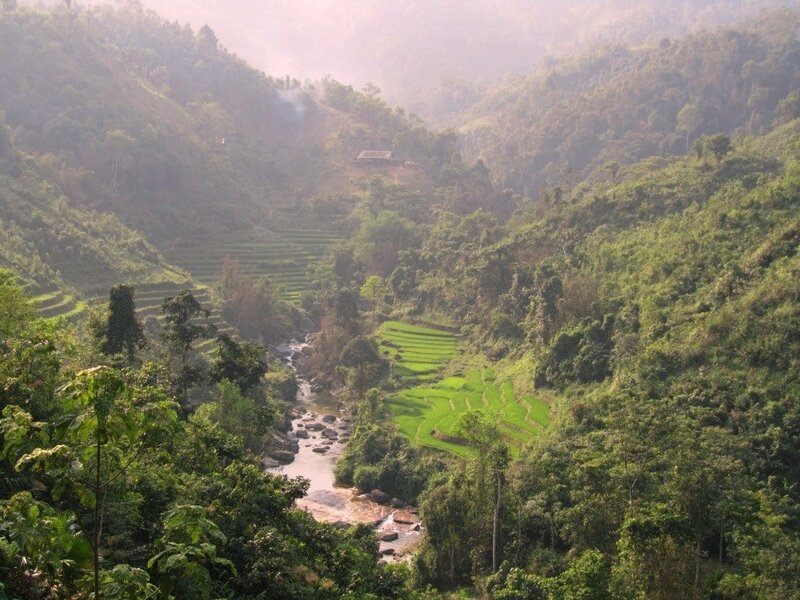 Travelling Vietnam at this time of year is absolutely fine – just expect some heavy rain every now and then. Can I ask you 3 questions please? I was planning to buy a motorbike with my girlfriend and cross Vietnam from North to South in Augoust (4 weeks). 1. Is Augoust a bad time to do this? 2. Can 2 persons and baggage go fine in one bike? 3. Is better from Hanoi to HoChimin or the opposite way? Yes, August is fine for the trip – the weather will be quite similar throughout Vietnam at that time of year: hot and humid, with tropical downpours. Yes, two people and baggage on one bike is OK – your rental bike will have a baggage rack on saddle bags to carry your stuff and there will still be enough room for a passenger. But it will be a bit less comfortable and a bit more tiring – so just bear that in mind, especially when it comes to how much distance you plan to cover each day. At that time of year I would suggest going from Ho Chi Minh City to Hanoi. That was so helpful. Much obliged! 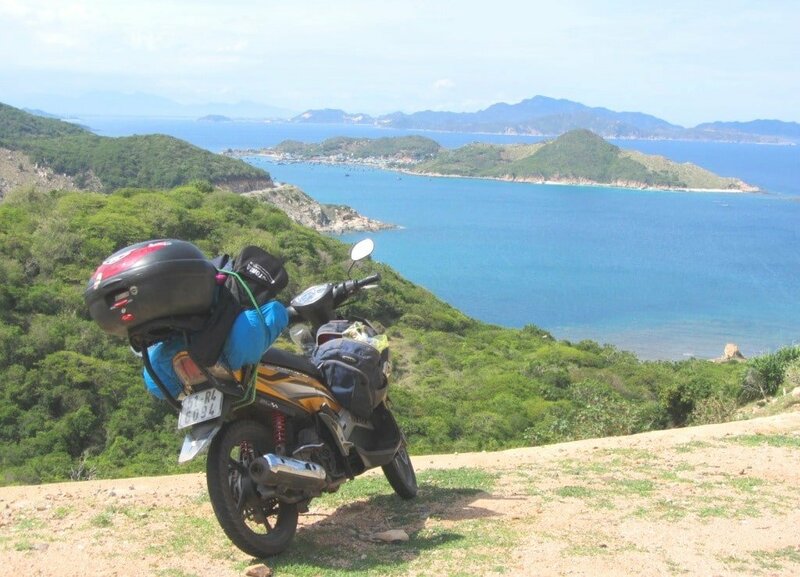 I am beginning to plan a month long motorbike trip through Vietnam and will starting at the beginning of May. During this time (May-June) would the weather be best for a north to south or south to north trip? I would start in the north and travel south at that time of year. But either way the weather should be pretty good in general during those months. thanks for your website, it helped me alot. i am thinking on landing at hanoi at the 12.2 till the 28.2.
i have read your loops and most liked the north ones. i undrstand that it is not the best weather, but when looking at weather( http://www.accuweather.com/en/vn/sa-pa/416623/february-weather/416623?monyr=2/1/2017). it dosnt look so bad, could you plise tell me what you think about it, and how do you think it will be. Yes, that’s right, the weather in the north at that time of year can be quite cold. But many travellers still visit the northern areas during the winter and enjoy it. For example, the Ha Giang Extreme North Loop and the Sapa-Sin Ho Loop are great rides on pretty good roads, but it will be a little bit cold and maybe quite cloudy. In general, the best weather in February is in the south of Vietnam – anywhere south of Nha Trang. Although the most spectacular rides are in the north of Vietnam, there are still lots of great, really beautiful rides in the south too. Take a look at my South Motorbike Guides Archive. I’ve also written more about weather in Vietnam here. i read about all the places you have written and they all look cool, cant real know what i prefer. i will travil in vietnam for a month. i realy love nautre, not planing on staying at a city more then need. i am planing on ridding a moter bike. could you plise recomend about a route, and what month is the best to do it. There are so many good road trips to choose from. If you want to stay away from the cities, perhaps you should take a look at the Ho Chi Minh Road, particularly the central sections (sections 3-6), and also browse through all my northern guides. You’ll find more details about what time of year is best to ride these routes in the introductions to the guides. Bravo pour ce blog si complet et instructif! Nous envisageons un séjour au Nord du Vietnam Aux environs du 20 Octobre 2017, pdt 10 jours (sur place). Nous hésitons (en plus des baies d’Halong terrestres et maritimes et Hanoi) à aller sur Ha-Giang et Cao-Bang ou bien dans le réserve de Pu Luong? Nous désirons marcher au milieu des rizières, voir des gens dans les champs, des buffles aussi, des roues d’irrigation, un peu de jungle aussi. Dites moi ce qui vous parait le mieux à cette période de l’année s’il vous plait? Pour la baie d’Halong maritime: on voudrait qq chose d’assez confortable et le plus “vrai” possible: Lan Ha ? Tu Long ou Ha Long old school?? Pour finir, on voudrait bien aller faire du snorkeling pdt 4 ou 5 jours (donc entre le 31 octobre et le 5 novembre): Con Dao ou Phu Quoc ? Est ce que la visibilité sera correcte (mer calme, pas ou peu de vague)? Excuse me I’ve written in French !! So stupid ! Congratulations for this blog so complete and informative! We are planning a stay in the North of Vietnam around October 20, 2017, for 10 days (on site). We hesitate (in addition to the land and sea bays Halong and Hanoi) to go on Ha-Giang and Cao-Bang or the Pu Luong reserve? We want to walk in the middle of the rice fields, see people in the fields, buffaloes too, irrigation wheels, a bit of jungle too. Tell me what you think is best at this time of year please to see beautifull landscapes? For the bay of Halong Maritime: we would like some junk quite comfortable, not to big and the most “real” possible: Lan Ha? Tu Long or Ha Long “old school” ?? Finally, we would like to go snorkeling for 4 or 5 days (ie between October 31 and November 5): Con Dao or Phu Quoc? Will the visibility be correct (calm sea, not or little wave)? On all these questions, I can not get true and honest information (each defends his region or his “interests”) when I ask the local agencies that is why I am calling to you! 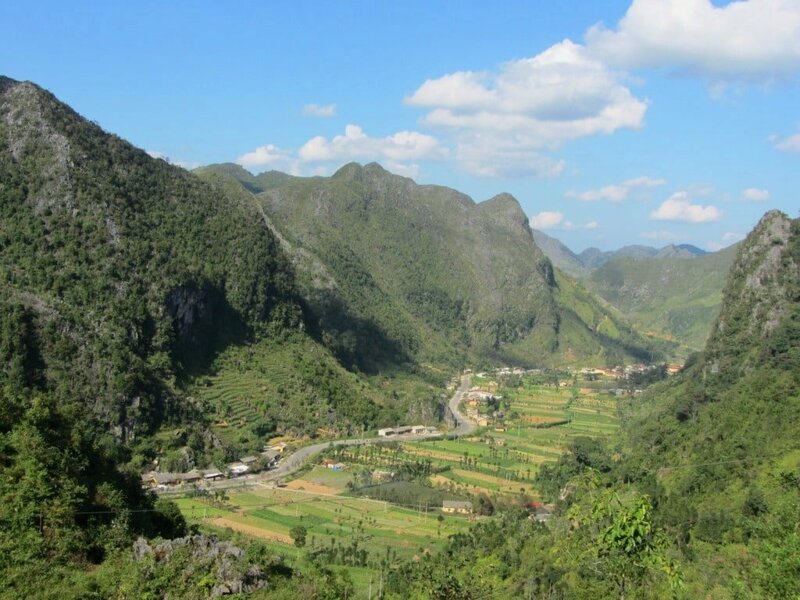 The northern landscapes around Ha Giang, Cao Bang and Pu Luong are at their best in the spring and autumn months: March, April, May and September, October are best. However, by October the harvest may be over, which means that there will be less colour in the landscapes, so try to visit in September or early October if possible. Those parts of Vietnam are among the most beautiful in the country so I’m sure you’ll enjoy it whenever you go there. Ha Long Bay is very impressive but it is very touristy and busy these days. Lan Ha and Bai Tu Long Bay are quieter than Ha Long Bay and therefore much nicer. Another option is to stay on Cat Ba Island and take boat trips from there to Lan Ha Bay instead. If you take an overnight boat trip in Ha Long Bay, it’s worth paying a bit more money for a better (and safer) boat – some of the really cheap tours are very bad value. Con Dao has the best snorkeling and diving in Vietnam, but I’m not sure what the visibility is like in October. Try contacting Larry from Dive, Dive, Dive on Con Dao for more information. It’s the rainy season on Phu Quoc in October so the visibility may not be good. Hi Tom. Thanks for all the great info, and also for your time and patience in answering everyone’s questions. I’m hoping you can handle one more! I land in Vietnam on 15 Dec. I have to be back in KL to fly home on 3 Jan. During this time I want to be in Dalat for about 4-5 days (checking some things out)… and the rest of the time I want to do some bicycle touring (bringing my bike). My original plan was to do Dalat first, then fly to Vinh and head over to Laos to cycle on the quieter roads. But recently I saw pictures of Ha Giang, and I can’t get it out of my head. The question is though…Is it worth going at that time of year? I know I will miss the buckwheat flowers but that’s ok… my main concerns are (1)Will the weather be miserable, or is there some chance of clear views? I don’t mind the cold (2)Will there be anyone else around (locals or tourists)? I am ok with my own company but I don’t want to be visiting complete ghost towns. what do you think? Give it a go or leave it for another trip? 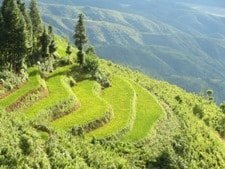 Well, considering that the weather in northern and central Laos at that time of year will be comparable to that in Ha Giang, I think you should go for Ha Giang. It will be cold, and it may be grey and misty at times, but you should also get some clear days too. There will be other people around – locals and travellers. Recent reports suggest that weekends can get relatively busy with visitors from Hanoi, but at that time of year I wouldn’t expect it to be particularly busy. 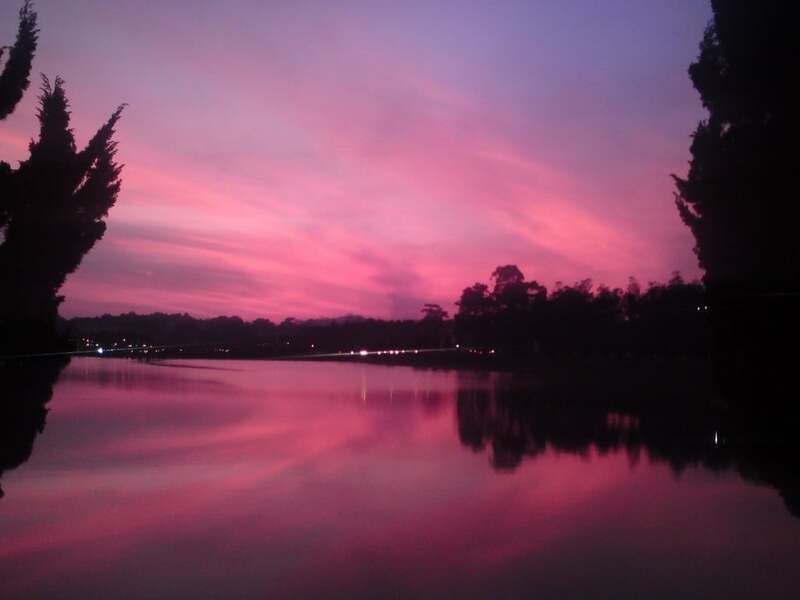 The weather in and around Dalat in December should be lovely – it’s the beginning of the dry season, but there may be a little bit of rain around still. Once again – so nice of you to post such valuable information – what a great resource! We are a fit 50’s couple from west coast of Canada travelling 1st time to Vietnam from 27Feb to 18March. Looks like we will start in south because of weather, with 5 days Saigon/Mekong, then fly DaNang for 6days (Hue & HoiAn also – maybe beaches warm by then…), then on to Hanoi 5 days with HaLong… sort of your less exotic “first look at Vietnam” trip! Question: Are their private tour/homestays in the Mekong Delta? or do we have to submit ourselves to the group/cattle-car experience? How about homestays in the DaNang/HoiAn area? Yes, that itinerary should work fine weather-wise. The homestays on the islands near Vinh Long and My Tho are pretty popular with tour groups. But I would think you can do it independently: just take a local bus to Vinh Long, get the ferry over to the island, and then walk around and choose a homestay. Hoi An probably has some homestays but I don’t know any specific ones. What a great blog you’ve got, thanks for all the information. That’s just great. I’m planning to go to Vietnam at the end of November and staying at least 2 months while travelling through the country. I actually wanted to start in Hanoi and drive down south, but I’ve just seen, that flights are 2-3x the price to Hanoi than to Ho-Chi-Minh-City. Do you think it would be worth spending that extra money to start in the north or would it be still ok to go the other direction and save money on the flight? In general, bear in mind that for the months you will be in Vietnam, the weather conditions will be best everywhere south of Nha Trang. Thanks Tom for providing such a valuable resource. I plan to ride ‘The Big One’ starting in November. Apparently this is the rainy season in the central part of the country. Any advice here? Is it dangerous? Are there areas I should avoid? Will it be miserable riding? Thank you for any additional insight. Yes, it’s likely that the weather north of the Hai Van Pass (Danang and Hue) will be quite wet. But there’s nothing you can do about that – the more time you have the better, so that you can just wait it out if/when it rains. Also, keep an eye of the weather forecast for typhoons – best to stay off the roads during those! I hope the weather stays good for you. Dear Tom, your information about Vietnam is very detailed and useful. Thank you so much for your website! First of all, it is really a nice/useful website, thanks! We will be in Vietnam for 2 weeks during Christmas time. We have a plan for the major destinations but some parts are missing. We are planning to start our trip from Saigon and stay a few days (26-27) in there and stay Hoi An (28-29) and Da Nand/Hue (30) and Hanoi (31) and Halong Bay (1-2) and Phu Quon (3-6) and return back from Saigon(Sorry for explaining detailed just want to imagine easier :)) . Do you think that this plan gets us tired or difficult? 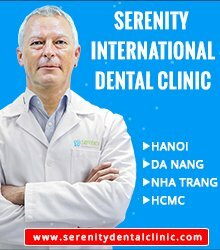 We are not sure where to visit between Saigon and Hanoi. Do you have any recommendation? We haven’t booked any hotels yet. Therefore open also any advises for the others! Yes, that itinerary sounds fine to me. But as you don’t have that much time in each place I would advise you to book everything in advance, including domestic flights. One thing to remember is that the weather in central and northern Vietnam during Christmas can be quite cold and grey, but in the south (especially Saigon and Phu Quoc) the weather is perfect in December. If you like what I do and you want to support Vietnam Coracle, you can book your hotels (in Vietnam or anywhere in the world) through Agoda on my site. Either start your hotel search from this link or the searchbox in the right sidebar of any of my pages. If you end up making a booking then I receive a small commission at not extra cost to you. Any money I make goes straight back into my website. Do you have any suggestion for new year eve? So you’ll be in Hanoi on New Years’ Eve, right? Well, it’ll be great around St Joseph’s Cathedral and Hoan Kiem Lake on that night. Lots of people in the streets and fireworks too probably. I am planning a 30 day trip this from the end of september till the end of October. I’ve already read that this is a great period to travel the entire country, which is great! I would like your advice in my route: travelling from north to south or the other way around? My guess is from south to north since the north is better towards the end of October? Thanks in advance and thank you for your great website! Well, I’m not sure if I’d pick one direction over the other at that time of year. Hanoi is certainly great in October, but this can paradoxically also be when typhoons hit the north and central provinces. 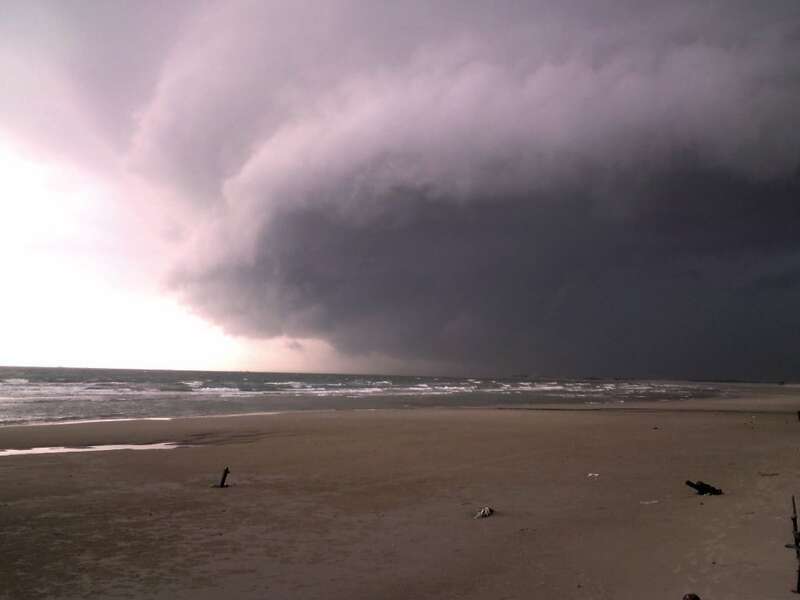 It’s just down to luck really – if a storm hits while you’re there, you’ll just have to wait it out a couple days. If you haven’t already, then take a look at my 5 Suggested Route from Saigon to Hanoi. Thanks for your swift response! Well when it all comes back to luck I think I’ll just guess on the route from south to north, so I get in the north in the later part of the journey. (or postpone my travel to october/november, so the weather is better in the south as well). Thank you for your routes as well, I think I’m going for the classic one, but I’ll take a closer look at the other ones and might pick some interesting spots out! 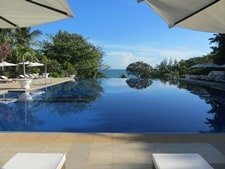 Both Phu Quoc and Mui Ne a good beach destinations within easy reach of Saigon – the former by plane, the latter by bus or train. Weather in Mui Ne at that time of year should be decent, but there’ll still be some rain around, and the same goes for Phu Quoc – October/November is the end of the low season on Phu Quoc, so on the one hand you might get some bad weather, but on the other hand you might get some good discounts on hotels. at first I want to thank you for all the helpful informations you give on your Website about this fascinating country. Actually I planned to explore the whole Country within 4 weeks by bus and train. But I think I better concentrate on the south because the weather seems more often sunny&dry at that time (although…I would really love to see the Halong Bay up north). I have a 4 week Slot somewhere between October and mid December this year. Being flexible about the date, would it be recommendable to better start travelling by mid November? Anyhow there is still lots of time for preparation (also necessary vaccinations etc.) for this trip. I suggest going as close to October as you can because the weather is still good in the north at that time of year, so you could still see the whole country. But, if you can’t come until November, then the later the better, because the dry season in the south starts around late November/early December, at that’s when the south gets really nice. 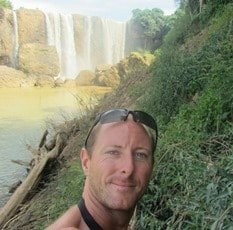 I’ve just begun my research into planning my brief trip into Vietnam for mid-September of this year, and luckily landed on your blog! My boyfriend and I have only half a week once we land in hcmc, and are definitely looking to make the most out of it. Phu Quoc was originally on the radar, but I’m getting mixed signals weather-wise after reading around a bit. What is your advice? Alternatively, if mid-September doesn’t prove to be a feasible time for Phu Quoc, I’d appreciate suggestions on other areas of the country with close access to some sunny sessions by the water! Well, September’s not too bad on Phu Quoc; it’s around the transition from the rainy to the dry season. 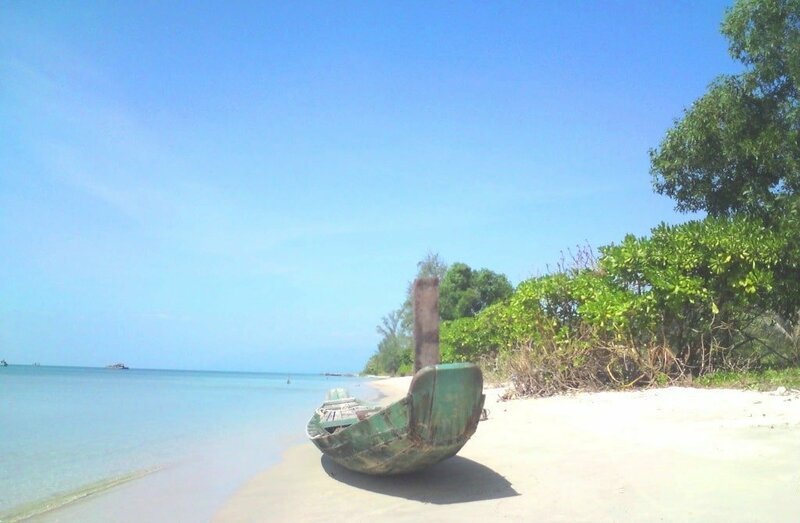 For more ideas about beach destinations that might be good alternatives to Phu Quoc have a look at my guide to the Best Beaches in Southern Vietnam, and my Beaches Archive. Did maiden trip to Viet last Dec, with my boys and this place left a deep impression in me. Me and hub are looking to be back this April! Excited to discover new places, new fav. 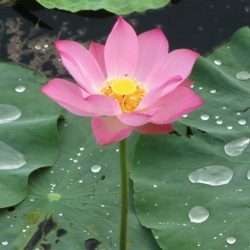 Viet a gem not known much, am so Glad to chance upon your blog, more than a personal travel blog with so much insights. Keep writing! I am so looking forward . We are planning a family trip this december-january for about two weeks. I’m curious to know what your trip was like in December with kids and where you went. Thanks for the post/site. It’s my primary resource for the trip I’m planning. So valuable! 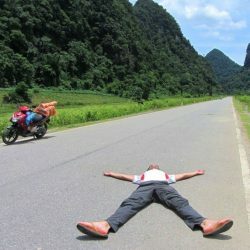 I’m motorbiking from Saigon to Hanoi (loosely based on your “scenic route”) for three plus weeks starting in mid March. Seems like I’ll be leaving the south as it’s getting hot and following the nice weather northward. Is there a stark, sudden shift in weather patterns or does it just gradually get hotter and hotter as March comes to a close? I dont mind hot weather, but if I can time my escape from the heat, I feel like I might as well. Yes, that’s right. You should be following the good weather up from south to north. Spring weather can be really great in central and northern provinces, but you still can’t guarantee it – I’ve had miserable rainy days in Hue and Thanh Hoa/Ninh Binh provinces in April before. No, there’s no real sudden shift in the southern dry season, it just slowly gets hotter and more humid from March through to June. The two big weather shifts usually occur at Nha Trang and the Hai Van Pass – these are both areas where mountainous promontories stick out to sea forming a kind of weather barrier, so that sometimes the conditions on one side of the promontory are very different to those on the other side. You can read a bit more about it in my Hai Van Pass Guide. Also, when planning the central section of your road trip take a look at this Golden Loop Guide because it deals with dropping down off the Ho Chi Minh Road to the coastal towns of Hoi An, Hue etc. Great work on keeping the website updated with new content, I am coming to Vietnam for only 4-6 weeks in mid March – April anyway I didn’t want to do the ride from Ho Chi Minh to Hanoi as I really want to spend a good 2-3 months doing that crossing over into Laos at a later date. I was thinking of doing a northern ride as you say the weather is good in that area I am looking at starting at Hanoi and finishing at Hanoi I would allocate 2-3 weeks for this do you think that’s a good amount of time? or too long ? or maybe add another week? I am someone who likes to go slower and see more than go faster and see less would love your thoughts? One other thing would you recommend buying or hiring a bike only thing that concerns me with hiring a bike is if it gets stolen or damaged I’m alot more out of pocket as I have to pay the full amount but if I buy a Honda Win for say $200 and that got stolen or damaged then I would only lose that money if you get what I mean. Sure, I think 3 weeks is plenty of time to ride a good northern loop in March/April – although, as always, the more time you have the better, especially as you say you are the kind of traveller who likes to go slower and see less. Weather should be pretty good and spring-like at that time of year, but the north is mountainous and that means weather is always unpredictable: the more time you have for your trip then the more chance you’ll have to see it in good weather: if it rains you can afford to sit the day out somewhere and start again the next day. There’s so much good stuff to see in the north that you can never really have enough time 🙂 If you haven’t already, then check out all my northern rides and guides. Buying or hiring is the famous question! Again, time is a consideration: it takes time to find a bike suitable to buy and get it fixed up how you want it; it takes time to find a buyer at the end of your trip; and, because they are more likely to need technical tune-ups while on the road, it takes time to stop and get it fixed. On the other hand, yes your’re right, if something happens then you only loose the money you spent on it. However, if you contact reputable bike hire companies in a advance and be specific about what you want then it should all be pretty smooth: try contacting Flamingo Travel and Rent a Bike Vietnam – you can mention Vietnam Coracle if you like, them know me. My husband, My 17 year old grandson and I are traveling to Cambodia and Vietnam in November / December. We begin our Vietnam leg in the south at Saigon/ Mekong Delta. Then we are traveling north/east to the coast. To Nah Trang, Da Nang, Hoi An, Hue and then inland to Phong Nha to stay with a family in the Jungle and explore the caves weather permitting. From there we fly to Hanoi and cruise Halong Bay. (Too cold for Sapa I think?????) then back to Hanoi. Flying to Phu Quoc for 3 days R&R before returning to Australia for Christmas. We know at that time of the year the coast will probably be wet but that’s just part of the adventure. Can you give me any little hints on things to do or not do to make out trip as memorable a journey as possible. We like to get off the beaten track and not do the most touristy things. Any suggestions? Yes, the weather at that time of year is great anywhere south of Nha Trang; as you move north it will get cooler and perhaps wetter too. In the countryside and on excursions, try to visit places very early in the morning or at lunchtime, as this is when they should be quietest. Also, avoid visiting popular sites and cities on weekends if possible, as this is when they are busiest. For some trips is best to hire a car a driver through your hotel because this gives you the freedom to leave when you want, take different roads and go at your own pace. The journey between Hoi An and Hue for example would be great with a hired vehicle because you can take some interesting backroads: read this guide. Finally, get up and about early – this is a beautiful time of day and a quiet one too: read this. I’m planning a trip in January (10 days more or less), but don’t have accommodations booked yet, do you think is possible to arrange for this once we get there. I will be traveling with my son (19 y/o) We want to start in the North and travel south. Can one also purchase the airfare for national travel there or would you recommend having that all arranged prior to arriving since I know this a busy time of year. January is a great time to be in the south of Vietnam because it is the dry season, but in the north it can get very chilly. Also, check when Tet (Lunar New Year) will be in 2016, as domestic travel can be very difficult indeed during that period. Thank you so much for the post. It’s terribly useful, and the pictures are just breathtaking. Keep up the good work, Mr. Tom. Thanks for much for this website/post, lots of great information. 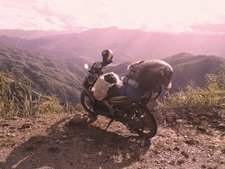 I am planning on riding Vietnam from South to North next year and was wondering which time of year you think would be best to get the most out of the trip. It would take me approximately a month and would prefer to avoid as much wet weather as possible. I was thinking March or April ? Yes, April is a decent time for the whole country. It’s very hot and humid in Saigon, and it’s the start of the rainy season in the south, so although there maybe some wet weather, it shouldn’t be too bad. Central provinces should be good at that time of year. From Hue north will probably be a mixed bag: I’ve had awful weather in Hue in April but great weather in Ninh Binh, so you never know. Another good time for the whole country is September/October. So, if you have the freedom to choose a time of year, I’d recommend April, September, October. This is such a great post – thank you. It’s really helpful for planning my trip in January and I’ll definitely focus on the south. Thing is, I really want to see Hoi An, Hue and Hanoi in January too – I was expecting the weather to be less good but what do you think it will be like? Still worth a visit? Thanks. Hoi An has good and bad days at that time of year. I’ve been there is January for rainy days and mild sunny ones too – so I think Hoi An is worth it. Hue can get pretty bad and sometimes cold too. Hanoi is good in any weather.